Mukhauta is a movie on gangster mafia directed Arpan Thapa as directional debut. Arpan Thapa is a versatile actor who has played in movies like "Sick city", "Dhanda", "Badhshala" etc. 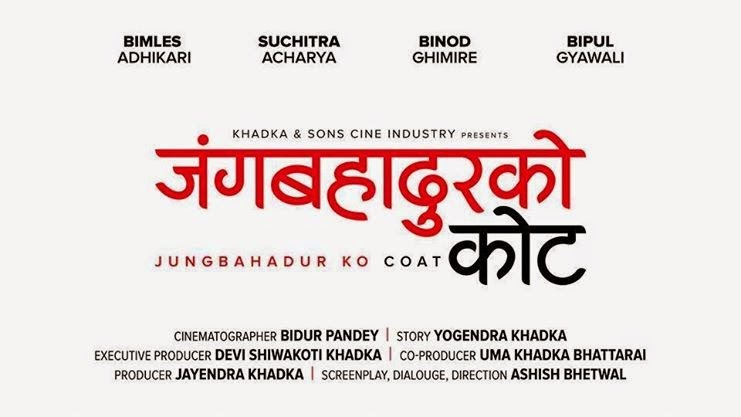 Arpan's cast selection for the movie seems to be absolutely strong with Arpan Thapa himself and the teaser trailer of this movie is just outstanding. You can see Saugat Malla in a new hairstyle in this movie. Aawaran is the upcoming nepali movie directed by Subash Koirala. The film is all about the modern mystery behind the murder. Priyanka Karki as Shubani plays the lead role in the movie. Priyanka finds the clues for finding the suspect/truth. Jholay is a dark Comedy movie based on some true events. In this movie Priyanka Karki (Kamala) plays the role of a prostitute girl. There is always some reason for the grils to take such profession for living and the film tries to show the positive side of the girls who are working in such professions with additional humor. Released Date: February 21, 2014, Falgun 9 2070 B.S.